Ellen A. 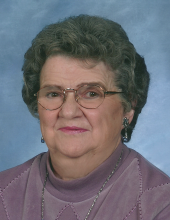 Young, age 85, formerly of Plain, passed away Wednesday, April 3, 2019 after an extended stay at Greenway Manor Nursing Home in Spring Green. Ellen was born December 2, 1933 in Sauk County, daughter of Anton and Mary (Emer) Young. She was a member of St. Luke’s Catholic Church where she sang in the choir for many years. She worked for the Kraemer families. Ellen enjoyed the little things in life such as driving her car or singing a song, often sharing her love of music with those around her trying to persuade them to sing along too! She is survived by her sister, Mary Leonard of DeForest, 2 sisters-in-law, Theresa Young of Plain, and Sharon Young of Pewaukee, several nieces and nephews. She was preceded in death by her parents, 6 brothers, Fr. Anthony, Everett (Elsie), Ralph, Robert, Clarence, Victor, a sister, Valeria (James) Jefferson, 2 brothers-in-law, Philip Sosinsky and Charles Leonard, a sister-in-law Dianne Young, a niece, Beverly Church, and nephew-in-law, Dennis Williams. A Mass of Christian Burial will be held Thursday, April 11, 2019 at 11:00 A.M. at St. Luke’s Catholic Church in Plain. Fr. John Silva will officiate with burial in the church cemetery. Visitation will be held on Thursday at St. Luke’s Catholic Church from 10:00 A.M. until the time of Mass. Our heartful thanks to the staff at Greenway Manor for the tremendous care and compassion given to Ellen. Online condolences available at www.staffordfuneralhomes.com. The Richardson-Stafford Funeral Home is assisting the family with the arrangements. "Email Address" would like to share the life celebration of Ellen A. Young. Click on the "link" to go to share a favorite memory or leave a condolence message for the family.